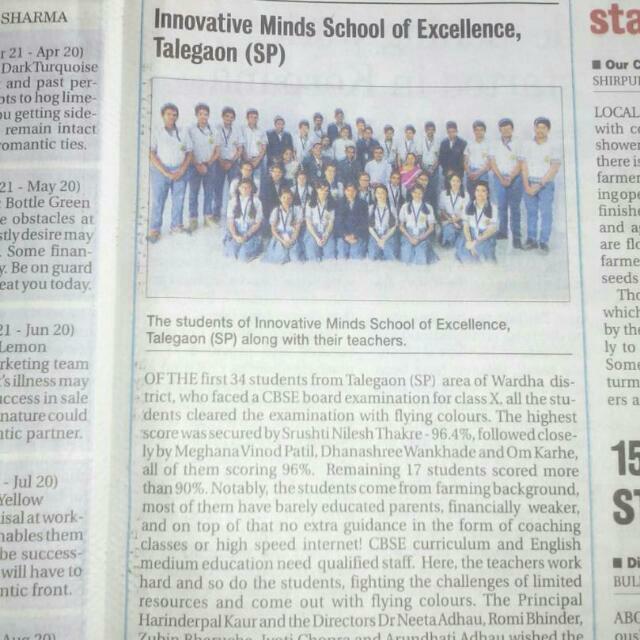 Of the first ever 34 students from the area of Talegaon (SP), Dist Wardha who faced a CBSE board examination for class X, the 100% passing result of the school is commendable. 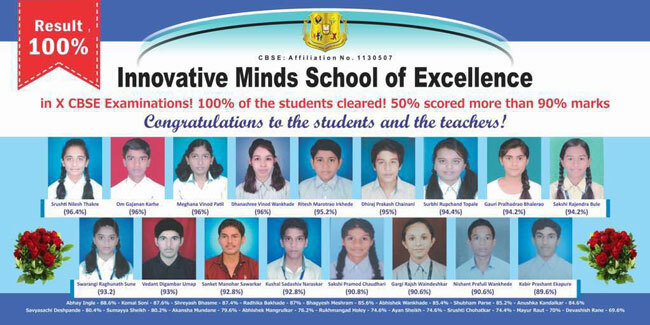 The highest score was secured by Miss Srushti Nilesh Thakre - 96.4%, followed closely by Meghana Vinod Patil, Dhanashree Wankhade and Om Karhe, all of them scoring 96%. Half the students, 17 in all scored more than 90%. The students come from a farming background, most of them have barely educated parents, financially challenged, and on top of that no extra guidance in the form of coaching classes or high speed internet! English medium is a limitation, and CBSE curriculum on top of it presented difficulty in the form of qualified staff. The teachers worked hard and so did the students, fighting the challenge of limited resources and came out of it with flying colors. The Principal, Mrs Harinderpal Kaur and the Directors, Dr Neeta Adhau,, Romi Bhinder, Zubin Bharucha, Jyoti Chopra and Arundhati Adhau wish the students all the success in their future lives!